This week I bough some of the porridge pots from Aldi for my breakfast on days when I'm in a rush. They contain 50g each of porridge oats. How many syns will the extra 10g be, as I'll use the 40g for my healthy extra B. The pots are 9.5 Syns each. They usually also have powdered milk (my boyfriend has the same/similar ones) which would be a syn as it wouldn't count towards your Healthy A It really is a shame as they're perfect for when you're on the run. As an alternative, you could think about overnight oats. If they're made up the night before, they're ready to do as soon as you get up in the morning, so they could be an ideal solution for you if you find yourself pressed for time. Oh my goodness!!  I've had 3 this week not realising the syns!! I'll expect a gain this week then  Thank you for the heads up ladies!! Can you recommend any crackers I can have as HEXB? I don't particularly like the dark ryvita. Never heard of them before so not sure where you'd get them though! Google them maybe? Judging by the brand name (Glutafin) I'm guessing they're gluten free maybe? Depending on what you have them with, Melba toast are only 1/2 a syn per slice. Thankfully I still lost 1lb this week!! So I'm happy with that!! Thank you for checking the app for me Sarah, I googled those crackers and they are available in holland and Barrett but quite expensive. I may try the original ryvita first. So am I right in thinking the crackerbread isn't a HEXB? Does anybody shop in Aldi to know if they have ryvita type crackers that are a HEXB? No the crackerbread are not a B choice. 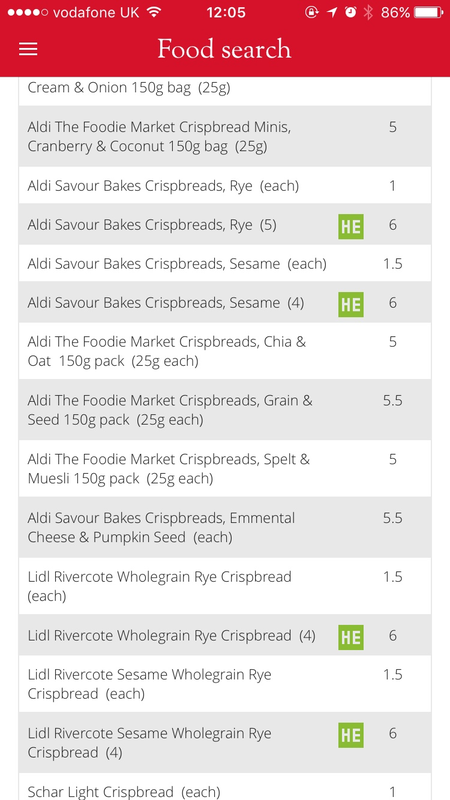 You can have 4 crispbread as your B choice. Find more posts on porridge, pot, syns.